After you run to the shoreline and take a photo, step back and include some foreground. 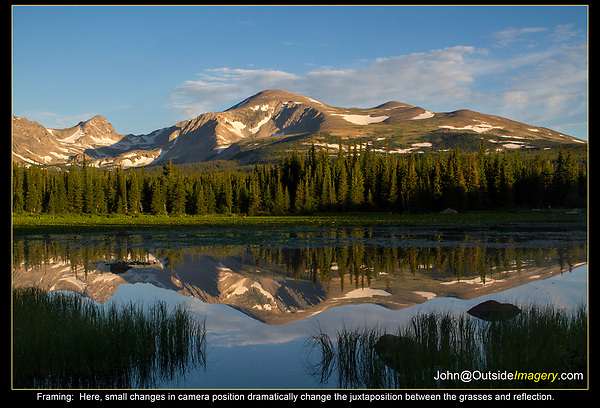 Here, lowering the camera just inches will raise the grasses and they'll hide the mountain reflection. When the foreground is in deep shadow like now, it needs to produce a strong silhouette and not be too large, since it has little detail or color. See next photo. Colorado tours by Outside Imagery.